A Long March 4B rocket took to the skies on Tuesday, July 31, on a mission to deliver China’s Gaofen 11 high-resolution Earth-observing spacecraft to orbit. 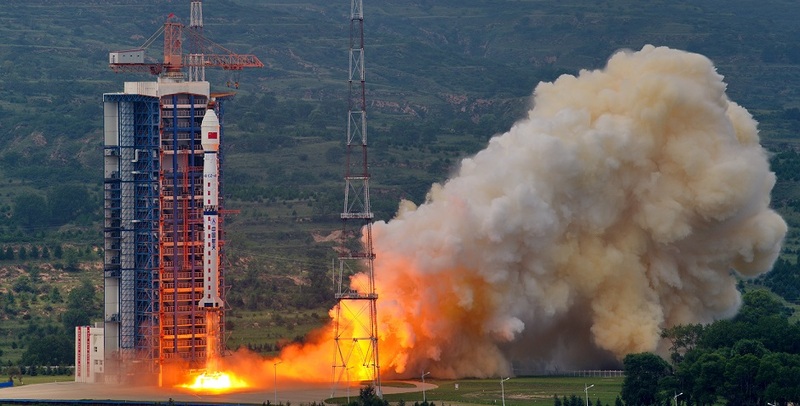 The launch was conducted at 3:00 GMT (11:00 p.m. EDT on July 30) from Launch Complex 9 at the Taiyuan Satellite Launch Center (TSLC) located in China’s Shanxi Province. The Xinhua state-run press agency confirmed that the launch was a success slightly more than one hour after liftoff, noting that it was the 282nd flight of a Long March booster. Very little has been released about pre-launch preparations as Beijing remains silent regarding the details of the mission. The exact timeline of the flight is also uncertain. What is known is that the Long March 4B rocket began its vertical ascent powered by its YF-21B booster that consists of four YF-20B engines. These engines burned for about three minutes until the first stage separated from the launch vehicle. The rocket’s second stage continued the flight for slightly more than two minutes. Second stage separationoccurred about five minutes after the rocket had left the pad. Afterward, the third stage continued to drive the mission skyward. It is assumed that the whole flight lasted some 10-20 minutes as the satellite was delivered into a Sun-synchronous polar orbit (SSO). Developed by the China Academy of Space Technology (CAST), Gaofen 11 (“gao fen” means high-resolution in Chinese) is an optical remote sensing satellite. China has not disclosed the physical parameters of the spacecraft, nor has it revealed what instruments it is equipped with. Gaofen 11 belongs to the China High-Resolution Earth Observation System (CHEOS). The system is planned to provide real-time, all-day global Earth observation under any weather conditions. The CHEOS program comprises China’s space-borne, near-space, aerial and ground systems as well as application elements. These are brought together as a whole to carry out Earth observations at high temporal, spatial, and spectral resolution. The first Gaofen satellite was launched in April of 2013. By 2020, it is hoped that the entire seven-satellite CHEOS system will be in orbit. The primary data users of the program are the Ministry of Land and Resources, the Ministry of Environmental Protection and the Ministry of Agriculture. The three-stage Long March 4B carrier rocket used on Tuesday’s launch has served China for some time. It was designed to deliver satellites into low-Earth orbit (LEO) and SSO. The 150 foot (46 meter) tall launch vehicle has been in service for more than 18 years and has conducted 30 missions – with only one of them ending unsuccessfully. The Long March 4B is capable of delivering up to 4.2 tonnes to LEO, 2.8 tonnes to SSO, and 1.5 tonnes to a geostationary transfer orbit (GTO). The rocket’s first stage is 91.5 feet (28 meters) long and 11 feet (3.35 meters) in diameter. The rocket is powered by four YF-20B engines. The second stage is 35 feet (11 meters) long and 11 feet (3.35 meters) in diameter. This stage is equipped with one YF-22C main engine and four YF-23C vernier engines. The 49 foot (15 meter) long third stage measures 9.5 feet (2.9 meters) in diameter and is powered by two YF-40 engines. Tuesday’s mission marked the 22nd flight for China in 2018 and the fourth launch from TSLC since the beginning of the year.